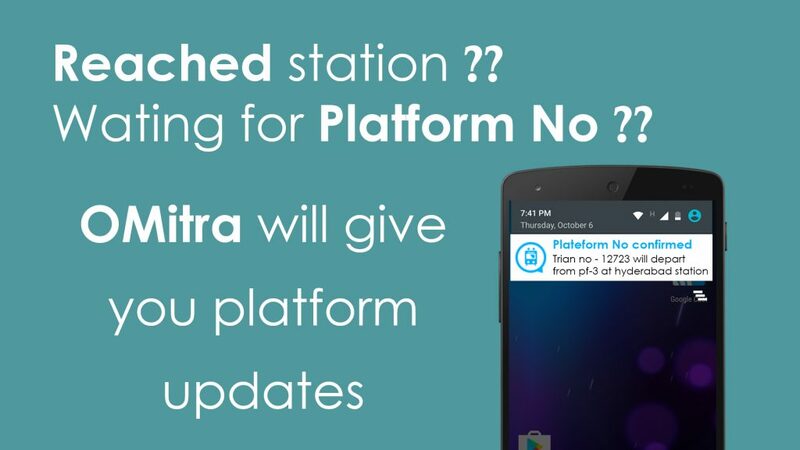 OMitra is not just another train app. 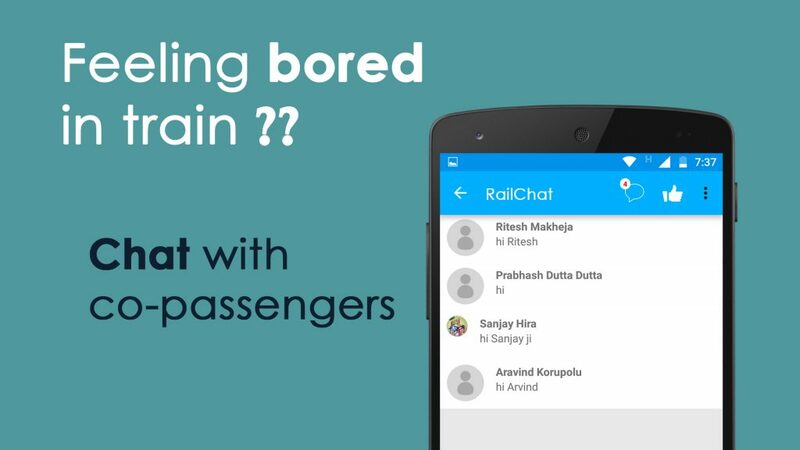 It is an online platform to connect you with 20 million train travellers and make your train journey happy and comfortable. What makes OMitra unique ? 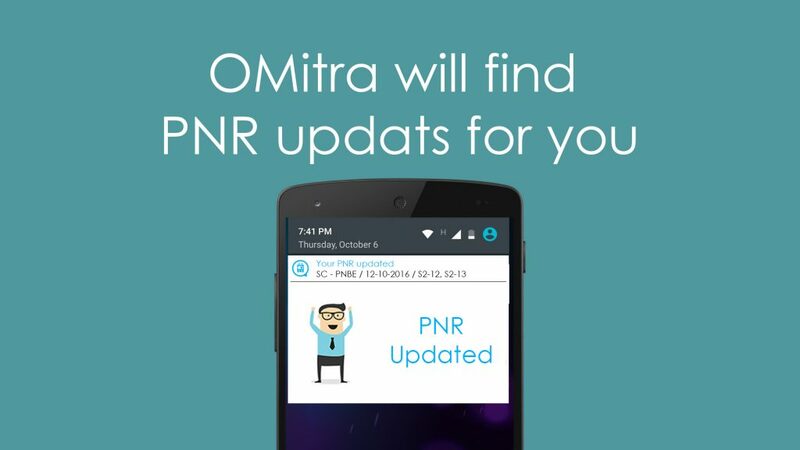 • PNR status – OMitra gives all PNR status updates and information. It will notify you once your PNR gets confirmed. 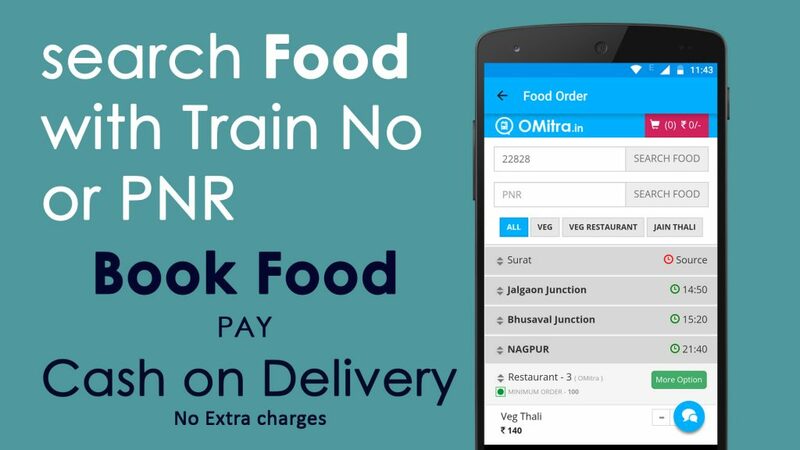 • Food In Train – Book food in train and get hygiene and delicious food livered on to your seat at any station across India. No extra charges. 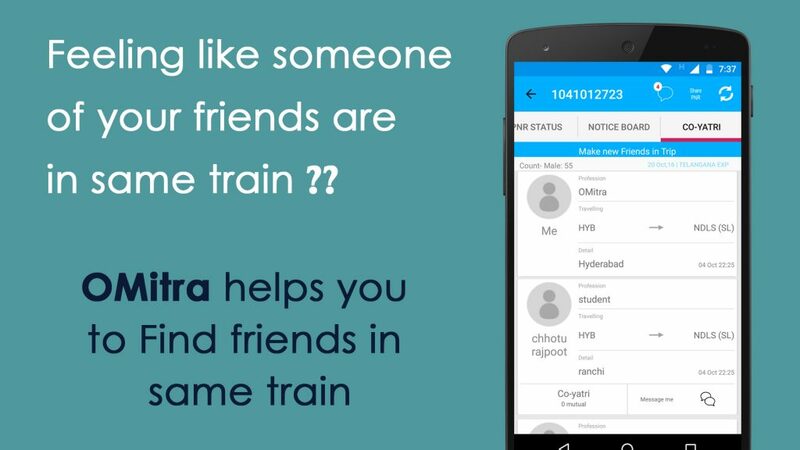 • Find Who is travelling with you – Yes, OMitra help you to discover your friends and friends of friends who are traveling in the same train. 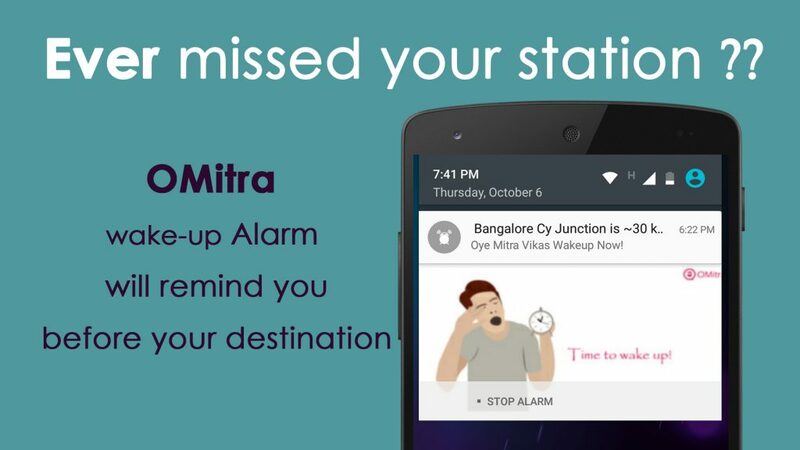 • Wake up Alarm – OMitra will give you Dynamic Wake up alarm notification considering your train delays and works without internet/GPS. Makes you never miss your destination. 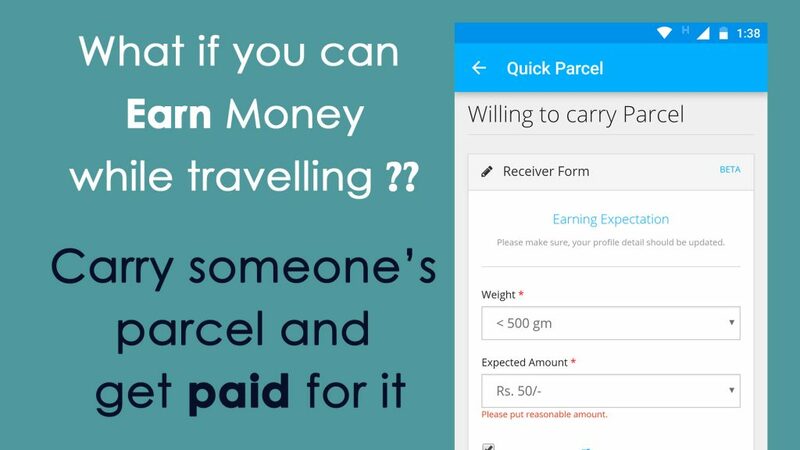 • Earn on Every Travel – Yes, help somebody in your train journey and get paid for it. Don’t worry; we’ll give you complete assistance in this. 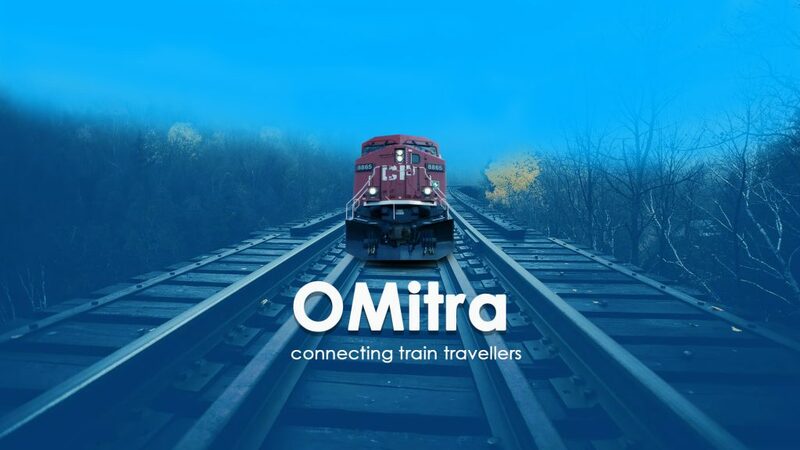 • Rail Parcel by Travelers – OMitra helps you in sending super quick parcel across the India with help of Train travelers, with low charger when compared to tradition parcel modes. • Seat Exchange – You need a seat exchange? 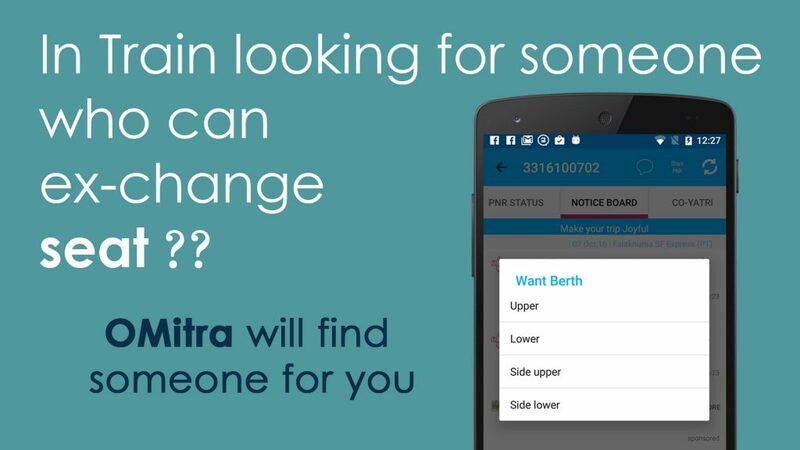 OMitra will find someone who is willing to exchange their seat. Chat with them and exchange seat. 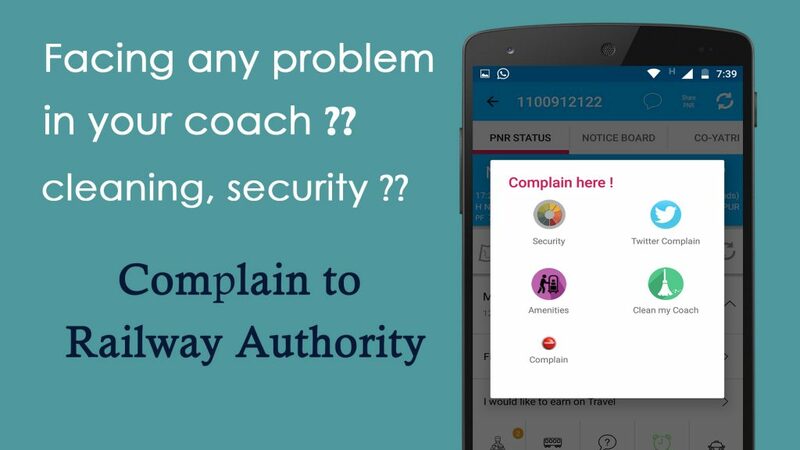 • Railway Complaints system – Never just talk about an issue, but raise the complaint to right railway authority. • Live updates – Now, Get all live updates without typing train number and PNR repeatedly. Just add your journey details once. And get all live updates Platfrom, Train Delay times etc. 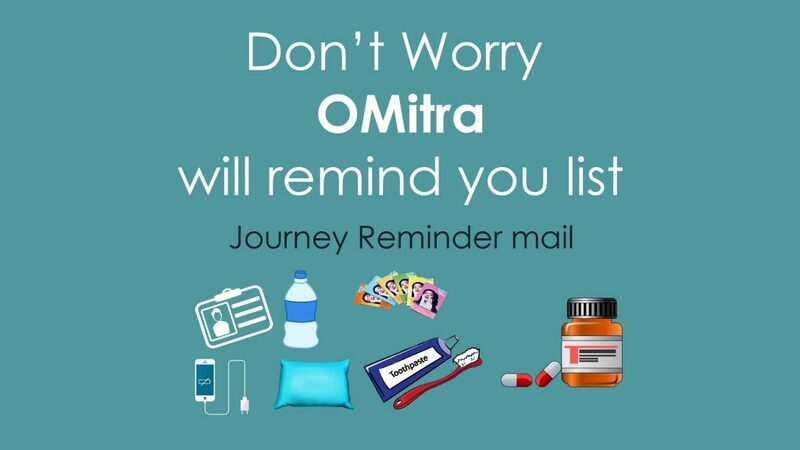 • Timely Reminder – OMitra will send you, train departure details, journey reminder list a day before your journey. So, Never forget anything in your luggage list. With more interesting features, OMitra welcomes you to a happy train travelling family. To utilize the OMitra App to fullest, please update your profile details. Things that happen while travelling in train in India. Need passenger list of 16316 of 30th may.